30 Years On The Train: An interview with Neil Perch. As the bass rattled my physical body, vibrating eyeballs and my soul, I could see someone leaning over a large piece of equipment, working it like a space ship control panel. Twisting knobs, throwing faders and moving to the heavy rhythms. This person was Neil Perch, original founder of Zion Train and the gig was in Narbeth Queens Hall ( I dont remember the exact date). I have ever since wanted to get to the bottom of this spell binding, mystical process which I know now as Dub mixing. 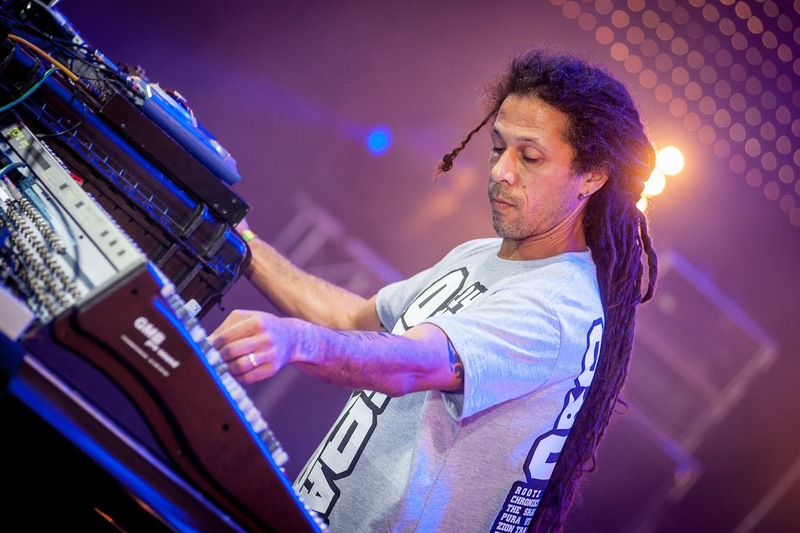 It is with great honour that I introduce a feature with Neil Perch, looking back at the 30 years of Zion Train and providing some insight in to the sounds created. Let us start with a particular track titled ‘Llanberis Pass’. Judging by release dates and info on Wobbly Web this was being made around the same time as ‘Passage To Indica’ an album that went on to influence what many now call Dub Techno. However, ‘Llanberis Pass’ actually found its way onto another release ‘Natural Wonders of the World’ in 1994. Paint a picture. It’s 1991-1992 and you are on the cusp of releasing these ground (resonating) pieces of music. Where could you be found at this time, where does the reference to a Welsh landmark come from and what were the methods, both technical and artistic, involved in realising this more experimental repertoire from your catalogue? During 91/92 the whole ZT crew was resident in North London, we had just moved our studio from our squat into a small rented premises where we put the finishing touches to ‘A Passage To Indica’ and started the work that would lead to ‘Natural Wonders Of The World in Dub’. Technically, at the time of our studio move we invested in some new kit including a Roland JD800, Korg M3R, Alesis SR16 and an 8 track quarter inch multitrack tape machine which we synced to our brand new Mac Classic (just midi of course, no audio) - not to forget our first mixer (16 channel rackmount analogue,and fx - an Alesis Quadraverb and an Alesis Midiverb) - these were immense changes for us and brought a big sound development with them. Most of ‘Passage To Indica’ had been previously written on an Alesis MMT8 sequencer, using a Yamaha DX7, various borrowed drum machines and an AKAI S950 sampler. I grew up on Merseyside and we often visited Snowdonia, Anglesey and the North Wales coast on family holidays, school trips and, a little later mushroom gathering missions and that’s how I engaged with the splendour of Llanberis and the pass - this aquaintance was rekindled when we started to play a bit in Caernarfon and befriended ‘Yr Ahnrefn’ - veteran Welsh language Punk Rockers. (The above track is a collaboration between Yr Ahnrefn members and Zion Train feat. vocals from Molara. There is a very detailed take on Yr Anhrefn and their impact on Welsh music here - http://www.link2wales.co.uk/biogs/anhrefn.htm ). When it came to selecting iconic natural wonders for our album - it was a no-brainer to dedicate a track to the pass which coincidentally Mr John Peel once told me was his father’s favourite natural beauty spot also. After ‘Natural Wonders of Dub’ there was a change. You released the next LP ‘Homegrown Fantasy’ on China records in 1995 as well as maintaining Universal Egg with ‘Siren’. These records both symbolise for me a moment in rave culture and an introduction to the sounds of house, techno and breakbeat. It’s message was maintaining the Zion Train (global) consciousness and driving bass lines but you also implemented so many different aspects unheard of in your previous releases. 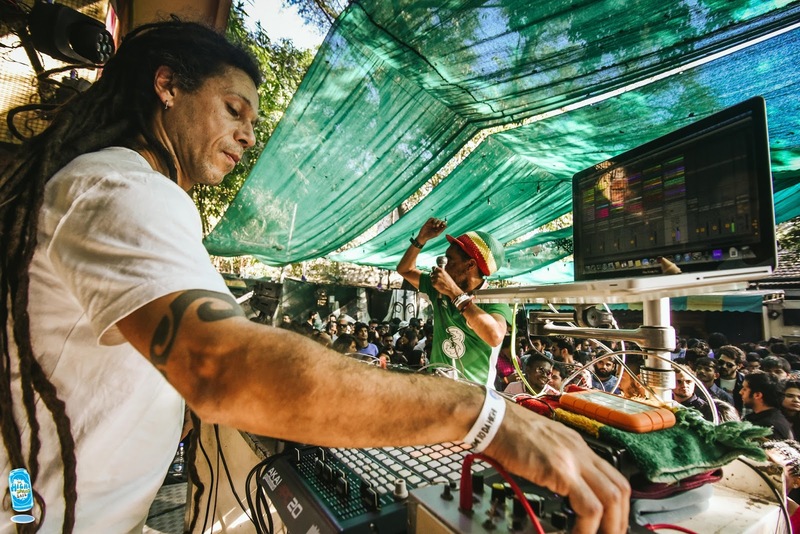 Were you at this time aware of the impact that your music was having on the international dance community, how did your relationship with China Records come about and with the power of hindsight was it a strong move for you and Zion Train to release on the label? In fact, we released Siren on Universal Egg a few months before signing to China Records and then we recorded Homegrown Fantasy as our first record for them. We did not really have any idea of our global impact at the time, we were just having loads of fun making and releasing music and were totally surprised that we could also survive financially from these activities and have the chance to push our musical and political ideas forward. China Records approached us to sign a long term record deal with them and after consideration we went for it. Retrospectively it was definitely a good move to sign with China, they gave us an international platform ( through Warner Brothers ) that we would never have been able to create without such help ( remember this is at the birth of the public internet - our first website was created in 1994! ) The boss ( Derek Green ) was positive and sympathetic to our direction and ideas. China also allowed us to enact some radical ideas with their money ( not that the label were aware of quite how subversive we were being ) - they funded A3 psychedelic ganja leaf posters that were posted all over Europe (including those that induced the former bishop of Bialystock (in eastern Poland) to have our show there cancelled!) - they also funded the Homegrown Fantasy CDROM at the time when only Bowie and the Rolling Stones had released ‘Band CDROMs’ - this included a hidden archive of anarchist literature. How has the process of releasing music changed since your early years of Universal Egg? Both recording and then physically releasing music has changed unmeasurably since I started the labels. We started as a label with a cassette subscription series ( Wibbly Wobbly World Tape Specials ) and then moved onto our first vinyl release. I used to get on the bus in London with my rucksack full of our vinyl and travel around the specialist shops trading the vinyl on an SOR basis. Of course this developed into more organised distribution partners shipping the product worldwide over the years but after Napster’s emergence there was a seed change in the way people perceived of music products - they were seen as free (and very often were) - forget what you read about download and streaming figures and vinyl revivals, that’s all BS - music business and the way music is released changed when Napster launched and has been changing ever since. As with all changes there are advantages and disadvantages - music has lost its value ( its collectors value, not its fiscal value ) since digitisation - when we started ZT CD burning was not even possible outside of specialised factories - cassette was the only real way of copying music - now you type a few characters into handheld devices, hear and download ( if you want ) everything for free - that cheapens everything… especially the experience. Technology also brings a sort of democracy and levelling of the playing field to both music collecting and music releasing and democracy is normally predominantly good. Although it brings its own, new problems also. As for how the recording process has changed!!! 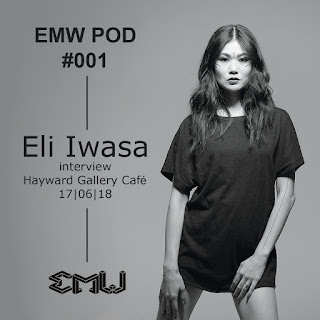 That’s another interview right there in itself, suffice to say from cassette 4 track to multifaceted, computer housed audio, synth and fx handling is pretty immense. After the gear change of 1995 with two seminal crossover records it seems you returned to your roots with ‘Grow Together’. This record has the natural feel of acoustic drums and the traditional roots reggae mixing methods. 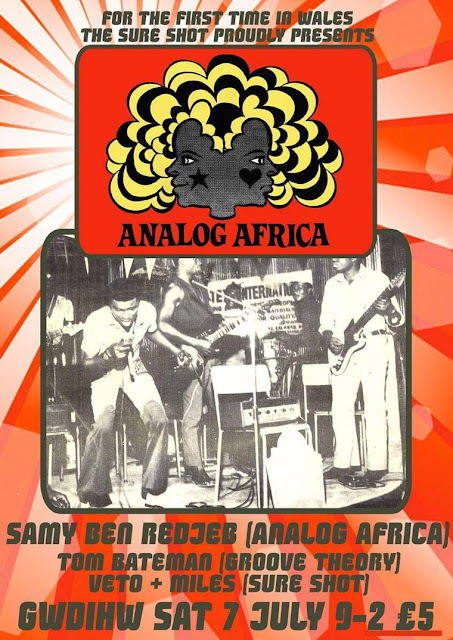 You cite several masters of the music such as King Tubby, Mad Professor, Jah Shaka and Adrian Sherwood. It seems up to this point ( I may be wrong here ) you were leaning heavily on electronic instrumentation but with ‘Grow Together’ there is a confidence in your mixing of acoustic instrumentation. 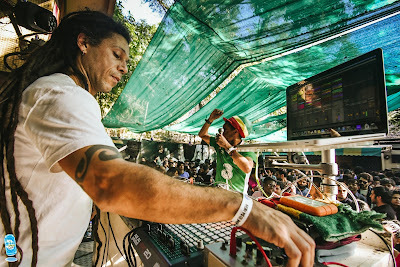 Had your musical path brought you to be in the company of people you could learn from and would you say that by this time your skillset as a dub mixologist had grown to a level you were satisfied with? I always try to develop both in music and in life, I hope that remains the case until the day I leave this current reality. At the time of Grow Together we had established a good relationship with Dave Ruffy of ‘The Ruts’ who became our de facto session drummer for recording ( and for our second studio Peel session ) - the presence of such a master plus many things picked up on our path plus the ever developing studio technology allowed us to constantly expand our musical horizons. 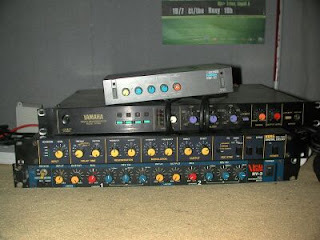 At this stage we had a Mackie 32:8:2, 2 x ADAT ( which allowed digital audio handling for the first time in ZT’s recording career ), plus a Yamaha ProMix digital desk and an ever expanding collection of analogue fx units and musician friends ( vocalist and brass players most notably ). To be fair we were regularly in close contact with many masters who helped on ZT’s path -Mad Prof and Sherwood included. As for my personal skills as a dub mixologist - I am not sure I will ever be satisfied with them but I am constantly happy to have the possibility to practice. At this point in the story we have to stop the train and reflect upon what I would consider a moment in musical history for me and my family. ‘Love Revolutionaries’ became a record that was played constantly in our house and it’s message struck a chord. It’s 1999 and the world is in a state of panic, computer technology and the internet is speeding up and the turn of the millenium is upon us. The sound of Zion Train helped to guide many through the dance, with a very feminine feel talking positivity and the power of love. It is clear that music as community is important to you as an artist. Do you see that this feeling of community has been maintained through these social and technological changes? Nice to know that was also a seminal moment for you and your family, as well as for ZT. It was in fact our first recording in the Preseli National Park, Wales where we had relocated to from London in 1997 on St David’s day. I think the feeling of community has changed both for better and for worse with the social and technological changes that have taken place in the almost 20 years since that album was recorded. Social media is degrading human global intellect and mental health at an alarming rate as well as destroying many levels of community interaction, ego is rampant as we forget our place as animals in the complex natural community that evolution has woven and is destroying our home with avarice and illusions of grandeur. As a response to this devastation, intelligent progressive voices in music and beyond are also using new technologies to form new alliances and to attempt to redress the balance a little. The leaps in music technology are totally democratising ( and again that has to be positive ) but that is a microscopically positive fact in the face of the impending end of civilisation as we know it and the resource based conflicts that already ravage our species. Hopefully enough of us learn and survive to build a better future! A community based future where we realise our community includes all living beings. Typically the music you make and perform is considered sound system music. Hearing and seeing yourself or say Mad Professor on stage behind a 32 channel mixer is a completely different experience to listening to your collectives recorded works. Do you ever feel that a certain magic is lost between the process of live mixing and recording for mechanical distribution ? Musicians are curators of a universal energy that is best experienced in vivo - audiences create stimulus and the whole experience (for musician and audience) is environmentally determined. 2000 - 2004 there is evidence of you being in Wales. 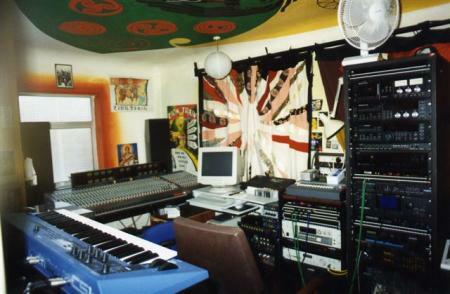 Judging by pictures on the Wobbly Web portal you were working on music in a “Welsh Studio”. Is this correct and if so please talk a little bit about the Welsh connection with dub music. A wonderfully magical part of the world. Zion Train moved from London to West Wales, as many English alternative heads have, to try and find peace, tranquillity and natural beauty. We found it all there and built a studio amongst the red kites and grass snakes - lovely… for a while until the commune style living we tried to enact fell down due to personal conflicts and various levels of deteriorating mental health. We had for a long time worked with Anhrefn, Universal Egg’s press man (Earthdoctor) was, and still is, based in Wales and we had always enjoyed playing in Wales from Blanneau Ffestiniog to Aberystwyth Art Centre to Harvest Fair near Fishguard. ‘Original Sounds of the Zion’ is one of the most eclectic albums in your discography. 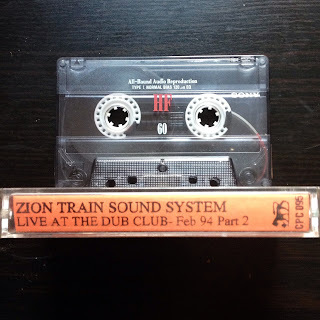 In a 2008 interview in Japan (https://norikomanabe.blogspot.co.uk/2008/06/neil-perch-zion-train-april-24-2008.html) you talked about the different styles of dub from around the world. It seems like OSOTZ is an example of you picking up different styles on your travels and combining them with the Zion Train sound. Is this close to the truth, and how important is it for musicians to travel the world and meet different cultures celebrating their chosen art form? ‘Original Sounds Of The Zion’ was the second (and last) album produced in West Wales. Travelling the world is great and as an artist, totally inspiring. I am sure the same thing would be said by many musicians in many genres but what is more important I find is just meeting people and experiencing life and not exalting the exotic over the everyday - all those cultural moments are valid from Wednesday night at the chip shop to dawn on Mount Fuji and they all carry equal creative influence. Between 2002 and the release of the ‘Original Sounds of the Zion’ and 2007 with ‘Live As One’ there seems to be a hiatus. What were you focusing on musically during these times? Between 2002 and ‘Live As One’ I relocated to Germany with sound system, studio and life in general ( which is a lot of moving ) having just established the Deep Root label as my second label alongside the ever busy Universal Egg. 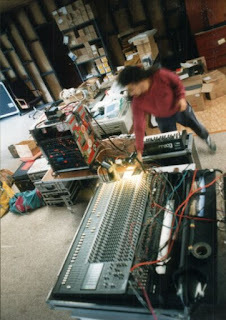 I recorded and produced multiple albums and singles under the name Abassi All Stars, ran events on my sound system, Abassi Hi Power, produced some other albums for Universal Egg and beyond ( most notably for UB40, the Croatian band RDK and Luca Zulu in Italy ), and continued to gig as ZT all over the world. At this point could please give us a brief overview of the evolution The Wobbly Web studio in terms of the gear and locations you used in the 90s and what has changed in the last 28 years? The biggest change has to be in situ audio handling - remembering we felt privileged in 1990/91 to have our first multitrack tape machine to record audio and now with Logic Pro you record, tune, quantise and manipulate audio like Playdough. I have always used Mac computers since the move off the Alesis MMT8 and the quantum leaps in computing have been incredible - my young nephew does things with Logic in his secondary school classes that were unthinkable and impossible in 1991. The rest of the studio has expanded organically with more analogue fx and more connections with gifted instrumentalist and singers. In 2007 ‘Live As One’ picked up an award. Throughout your career you have stated that ego and the music were an unhealthy combination for the sound. By winning this award do you feel that your message was finally reaching a big enough audience and did you welcome the award? It was an enormous surprise and to be honest I was just happy that my music was being listened to in Jamaica - birthplace of so much great music. On a personal level, of course, like everyone I have an ego, but two pairs of ears is a big enough audience for me ( although I always welcome more listeners ) - I always remember my first initial musical ambitions whenever I feel like I am at a staging point in my career - they were very humble ambitions and were quickly achieved but recalling them helps everything stay in perspective. It’s all about the music and the power of music in general. 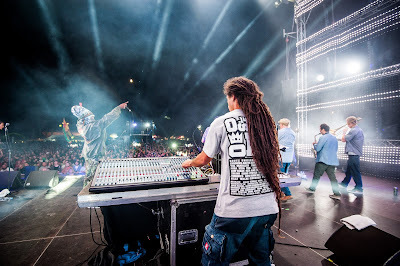 At this point Zion Train has travelled the world, played countless sound systems and created a worldwide movement of consciousness ( no compromises! ). There have been worldwide events that rattled the very fabric of existence and understanding, revolutions overthrowing governments, riots on the streets, environmental crisis, wars and evil driven by the thirst for money. All in all painting an apocalyptic picture and the sound of Zion Train is helping people deal with the pain. “I originally received a copy of this album a few days after the end of England’s summer riots. The town where I grew up had been one of the worst hit; I watched a business that had been there for over a hundred years burn to the ground as I frantically tried to contact family and friends who still lived there. Reflecting upon the last 30 years what would you say is the biggest lesson that you have learned being on the road and delivering the Zion Train message through sound system culture and studio projects? 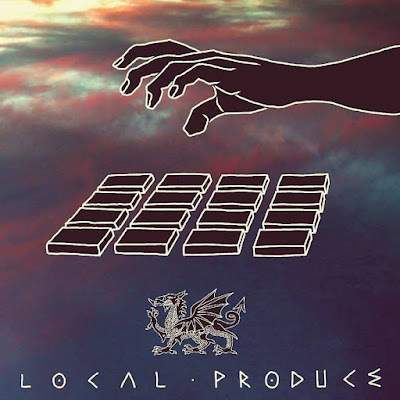 "Love trumps hate every time and together we are mighty"
A recent release on Universal Egg is by a certain Timbali who grew up in West Wales around the dub community and featured recently in the blog. What do you seek for in the next generation of music makers when considering releases? New, exciting sounds, enthusiasm and positivity. 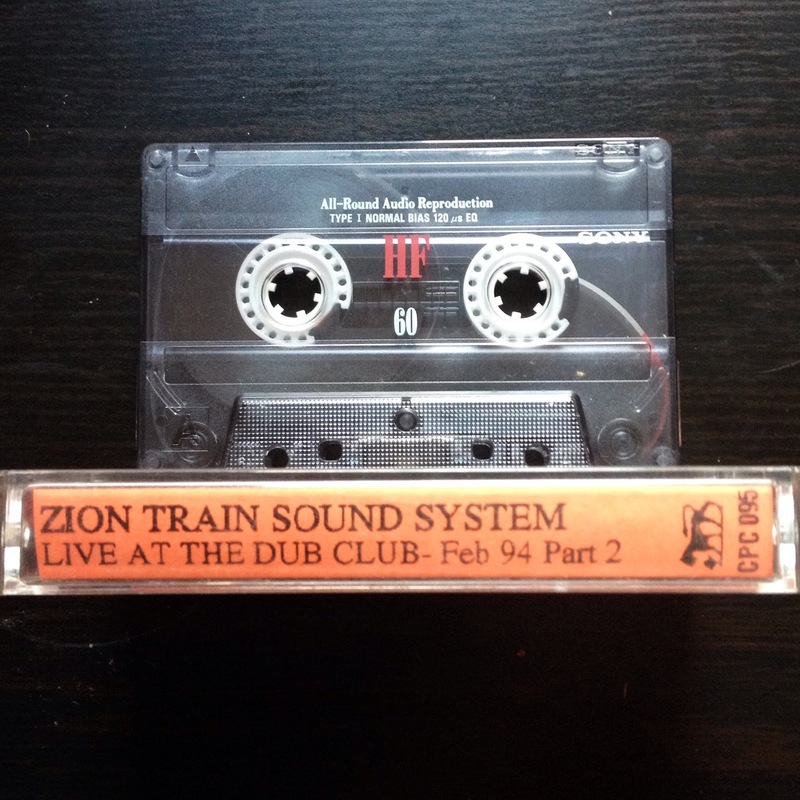 And so 30 years of Zion Train is a celebration of your music as a message, no compromises! First we have a nice festival programme lined up but one that still allows me to spend plenty of time with my children. We then have a #ZT30 tour starting in the UK in autumn, moving through EU during the winter and afterwards heading to Australia/New Zealand/USA/Mexico and beyond in 2019. With a new Zion Train album at the end 0f 2019 - which is already sounding pretty exciting to my ears. I have compiled a short playlist of tracks from the albums mentioned in this feature but I do encourage you to dig deeper. It will not disappoint! On a side note, whilst doing some research I came across a post on Brownswood by Mad Mongos regarding a certain bootleg that appeared in Camden. After 'Live As One', Zion Train have gone on to release two more albums 'State Of Mind' and 'Land Of The Blind'. Still performing all over the world and spreading the positive message of peace, love and unity. Many thanks to Neil for taking the time out for this interview and be sure to keep up to date with forthcoming #ZT30 tour dates!